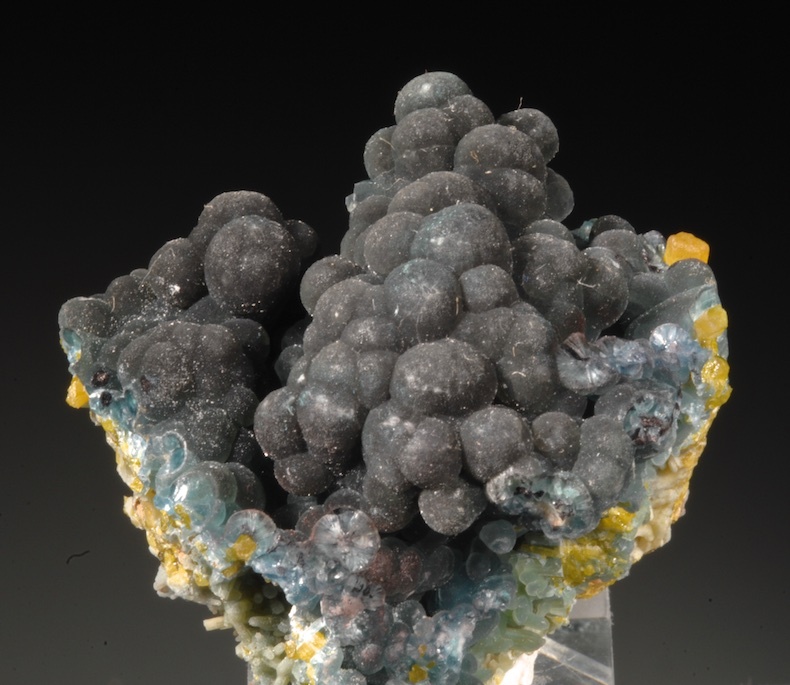 A wet looking luster on this botryoidal Smithsonite with the so-called Cadmium color. From the find in 2016 in Guangxi, China, this is an attractive large miniature with two colors and two different textures. In excellent condition the display side of this has no bruises or issues. 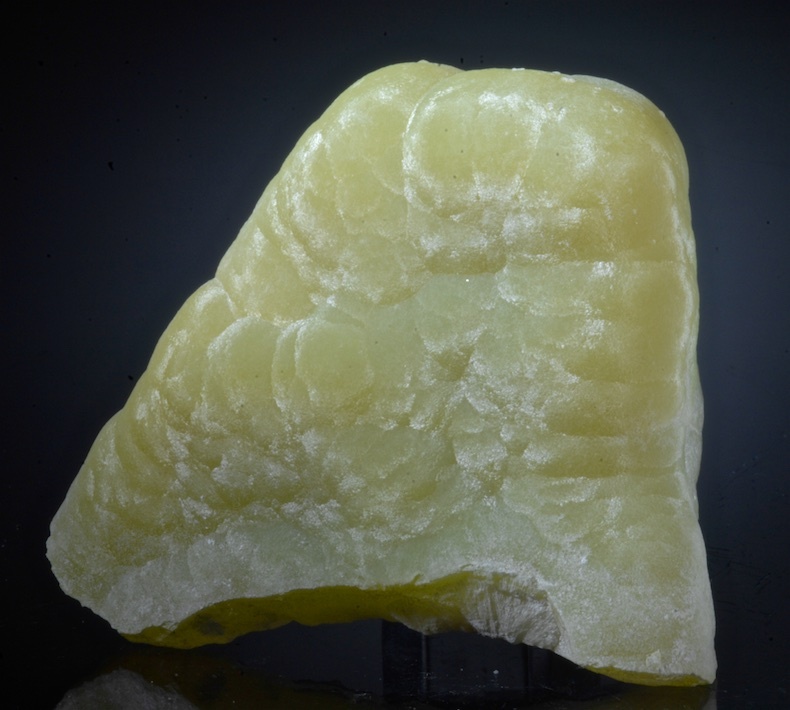 These were originally sold as a Cadmium Smithsonite due to the color but later testing shows little to no Cadmium. Still a great color for Smithsonite no matter the source. 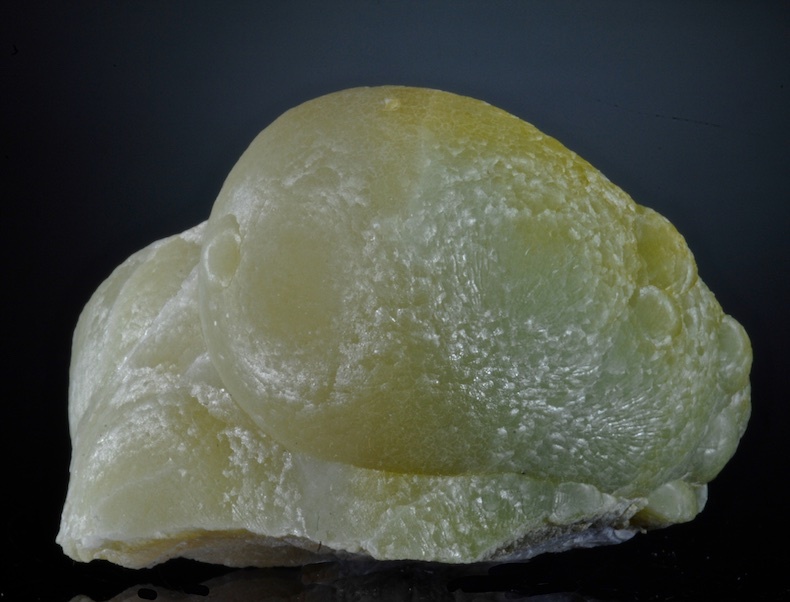 A colorful and very well formed knob of botryoidal Smithsonite with good yellow color. Choice and three dimensional, this looks great from most any angle. Except at the base where this was removed, there is no damage or bruises on any surface. The satiny luster is especially rich. These have been marketed as "Cadmium" Smithsonite but there have been some different analysis that conflicts with this and some claim that none of the yellow Smithsonites from any deposit owe their color to Cadmium. I suspect the truth is someplace in the middle. I do not know if Cadmium is involved in this specimen or this find but this is the sought after "Cadmium'" color. Excellent eye appeal and overall esthetics, no matter the color source. An excellent value for one of these complete knobs which are quite uncommon and priced far higher when available. A perfect, killer miniature. Top intense color, brilliant luster and elegant form in an undamaged specimen. Even though many of these were found since the first finds in 2000, very few were this well formed and esthetic. This specimen comes from a small recent pocket, that gave the first Pyromorphites of any quality in more than 4 years. These are modern classics and the best Daoping Pyros like this one are quite prized as they stand out from the average pieces. This presents well on every side and angle, the crystals show several habits but are mostly elongated freestanding hexagons some with central hoppers. 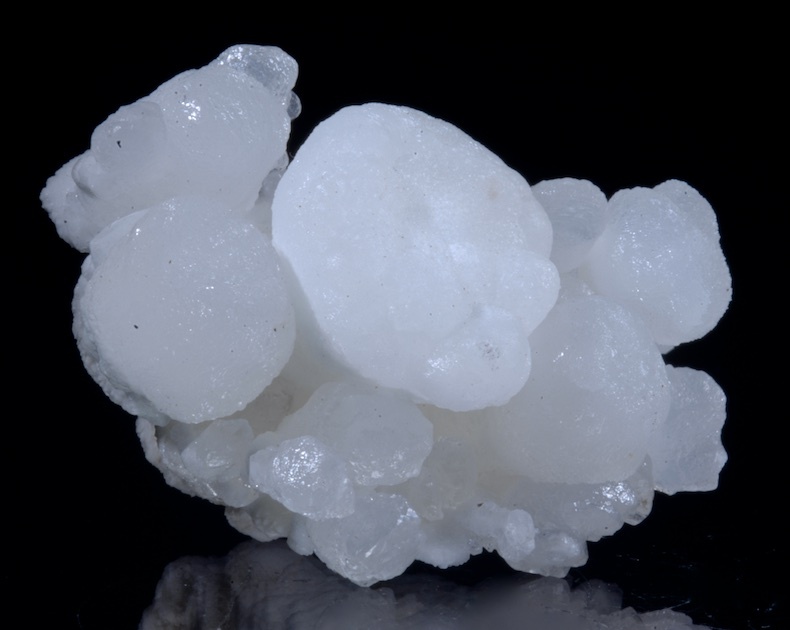 The smaller, slender crystals are a little less bright green and are also perfect in radiating clusters. Minimal matrix, a perfect large miniature with a display impact much larger than this size. It is incredible this is so perfect and undamaged, even better in person. A pretty Pyromorphite with better than average, very distinct hoppered crystals on smaller prisms. From late finds at the amazing Daoping mine, this is a not the typical color from here, it is more like an olive green hue in person. 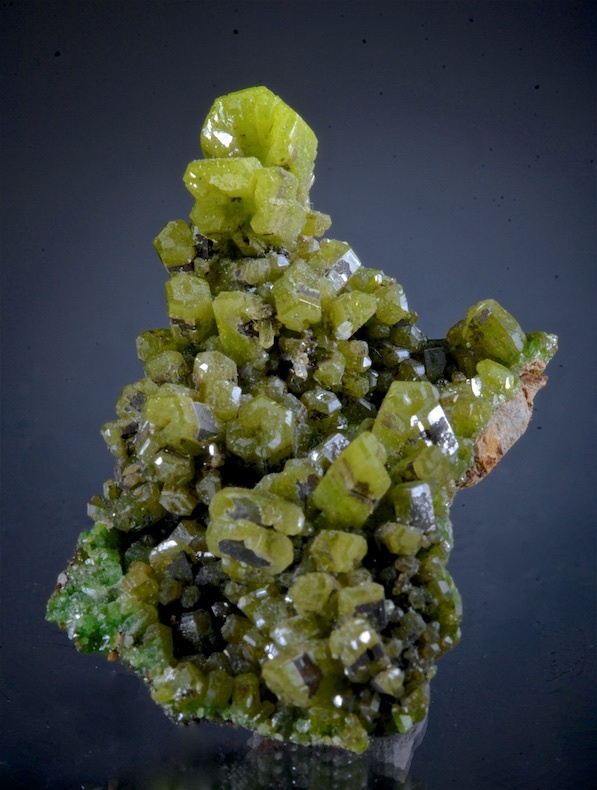 Choice and in excellent condition, Daoping has become a great modern classic locality and this sort of Pyromorphite shows why. 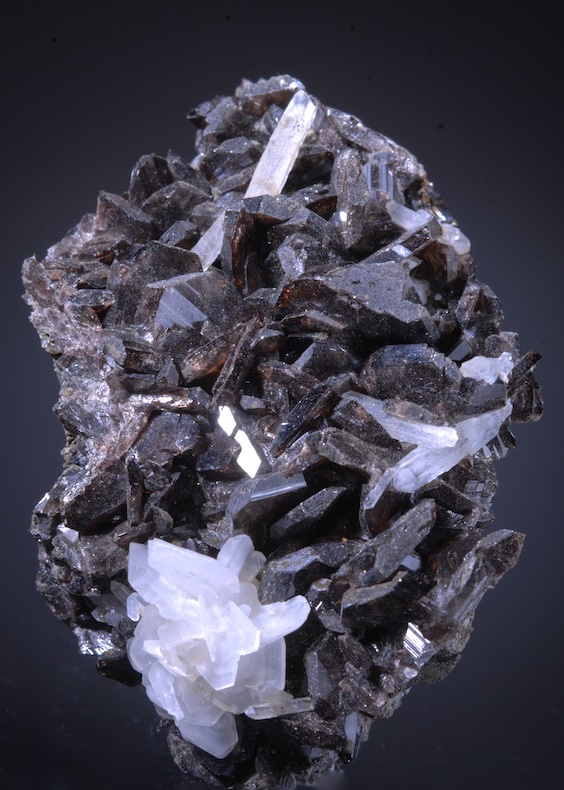 Well defined, sharp Axinite crystals from a find over 10 years ago in the little known mines of Nandan. At the time these were the first Axinites found in China and as far as I know are still the only good quality specimens found so far. No damage but a few contacts are noted, the crystals are free standing and reach over 1.5 CM. 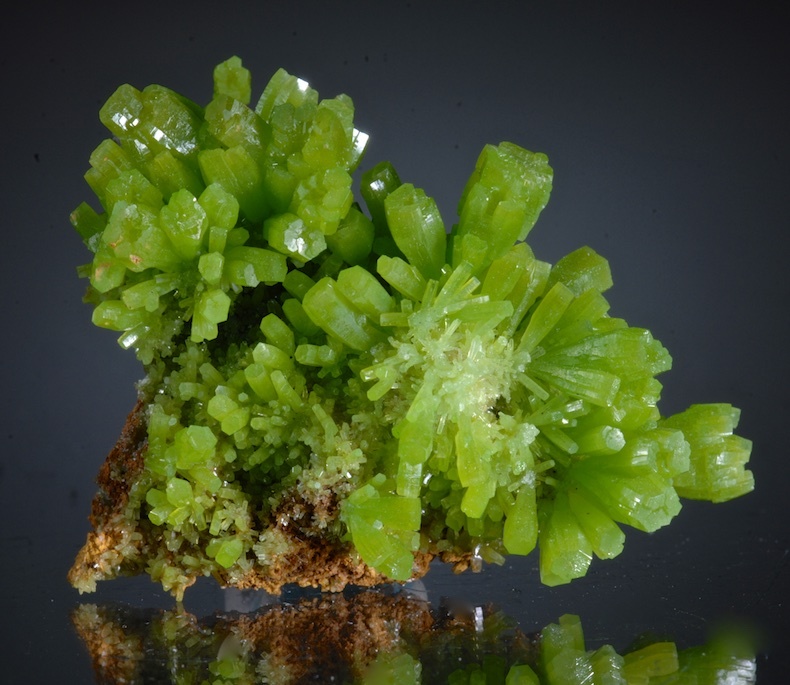 Large mass of pure Pyromorphite in 3 dimensional hills with good grass green color. From the Daoping mine near Yangshao, this was mined before 2005 in the upper oxidized zone. That area has now been finished and the mine is closed. Well covered on the face with dense crystals, nearly all are perfect a few chips can be found with careful looking, but obviously not very noticable. The price reflects this. The luster is mixed, some crystals are quite bright and others have a more matte look. 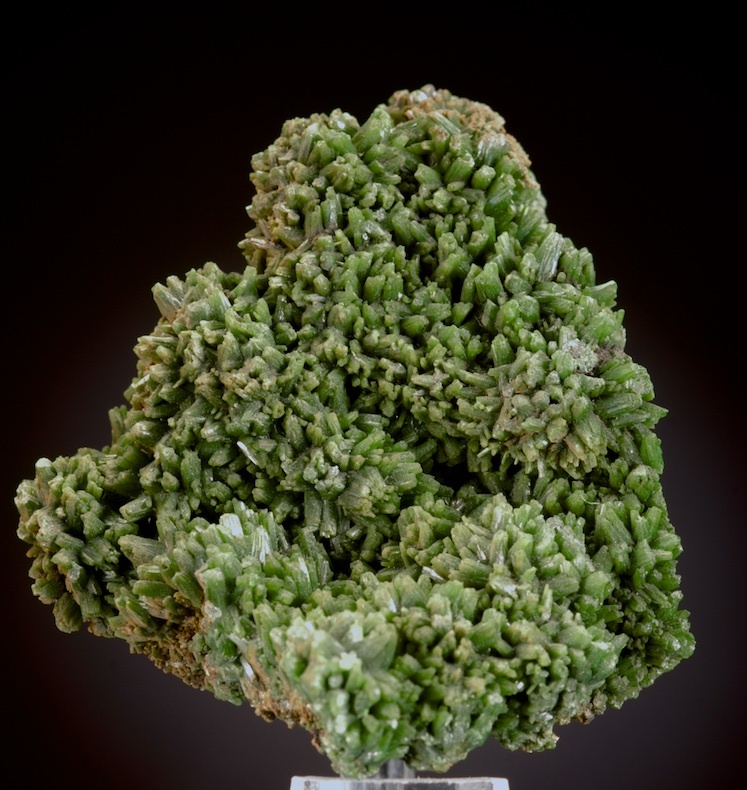 A good rich, sizable Pyromorphite from an important mine.